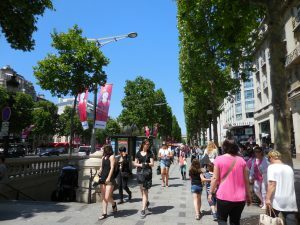 Walking around Paris is one of the best ways to get to know the character of the city and the quirks of each unique neighborhood. At ParisByM we offer several pre-planned self-guided walking tours so that you can explore a neighborhood and discover its hidden gems. Step off the main tourist path and wander around the true heart and soul of the city. What is a self-guided walking tour? A self-guided walking tour is where we provide you with a pre-made itinerary so that you can correctly navigate around a particular area/neighborhood. Our itinerary will contain your map marked with major points of interest and will contain written walking directions. We’ve also included interesting facts about the important buildings, monuments, or areas you will see. Our itineraries will route you past the alluring or unique sights of the neighborhood. This way you can really get to know the area and not just the path where all the tourists usually trek. Which neighborhoods could I see? Here are the options we offer for self-guided walking tours. You can select one or multiple tours based off your personal interests. Step out of your comfort zone to discover the lively area around the world famous shopping street. Explore side streets and discover more about this area. On this self-guided walking tour in particular you’ll also get to see some of the major touristic sights as well. 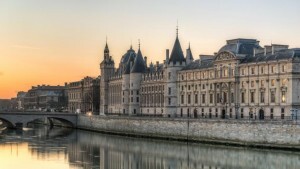 Uncover the historical center and birthplace of the city of Paris. This self-guided walking tour will route you past some very significant historical buildings dating even from the Middle Ages. You’ll also get to discover the importance of other less well-known sights like Hôtel Lambert. 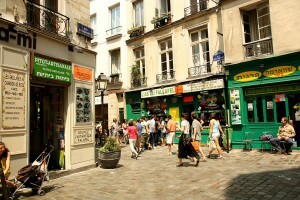 Get a feel for the Latin Quarter with this self-guided walking tour. 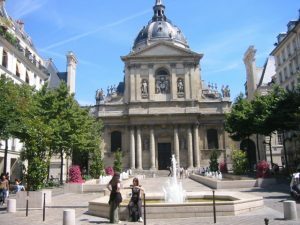 See the famous Sorbonne University and some Roman ruins. In this area you’ll be able to sense the hustle and bustle atmosphere predominated by the many students who attend universities in the area. Walking around this neighborhood, you’ll get to see and feel the trendy, upscale vibe of the St. Germain area. 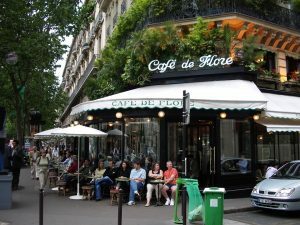 See some of the celebrated cafes that were frequented by many of France’s famous intellectuals. Another of Paris’ most trendy and popular neighborhoods. Here you can find many hip fashion boutiques and jewelry stores, bustling restaurants, and art galleries. 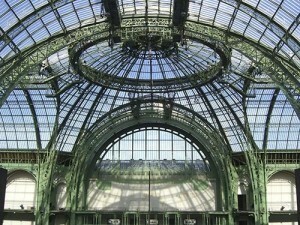 Discover the famous buildings that were build for the Universal Exposition of 1900 in Paris (World’s Fair). Now the buildings like the Petit Palais remain albeit their use is now different. 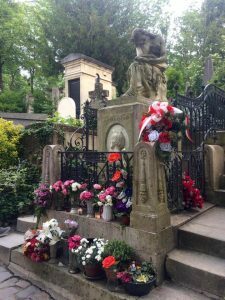 Take your self-guided walking tour through Paris’ most famous cemetery, which is the size of the Vatican. You will discover the tombs of celebrities like Jim Morrison, Oscar Wilde, and Chopin, amongst others.